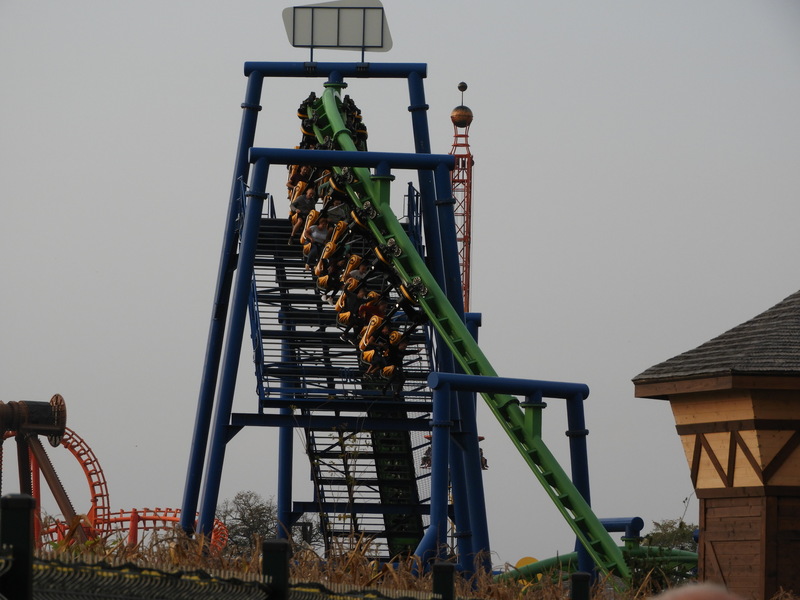 Next up is a fan favorite: the RMF Dragon Coaster. Sponsered by a radio station, but luckily only noticeable in the name of the ride. This suspended coaster by Vekoma only has one train but lots of fun. 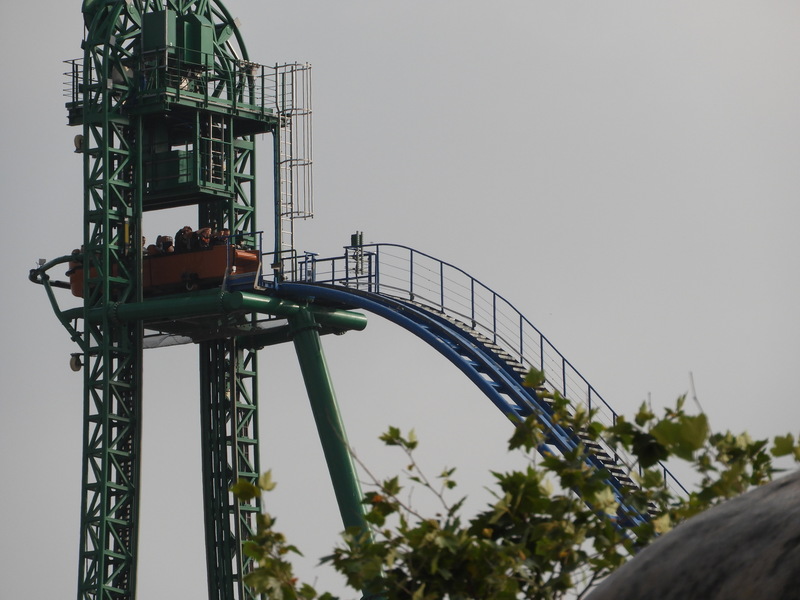 After the lifthill, you go down the dragon’s mouth and up into a banked turn. 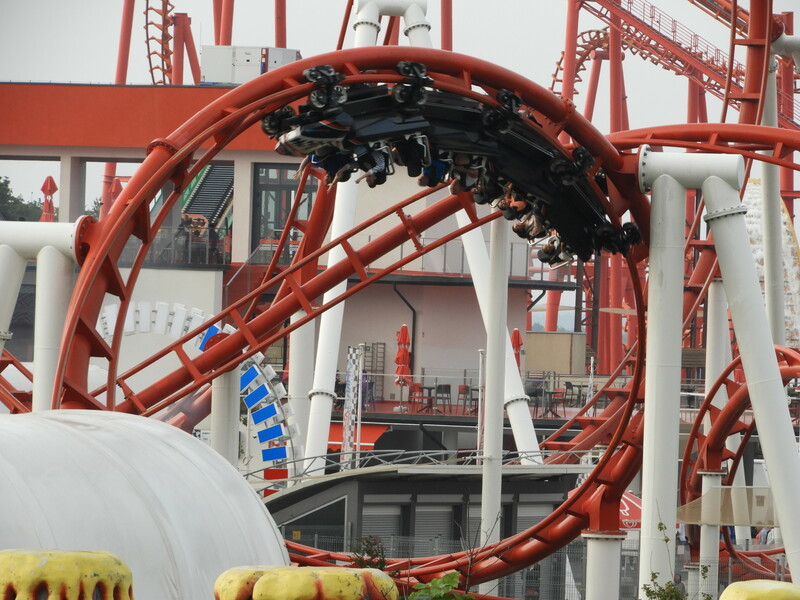 Twisting and turning through the area, including a fly-through the station, you hit the brakes half in the station. A quick but fun ride and I’m sure Cabin Crew Coaster Kings would fall in love with it! Rollercoaster Mayan is in the far corner of the park. It’s our favorite SLC coaster and I’m not kidding. Front seat experience was very smooth, partly due to the new type of shoulder restrains. 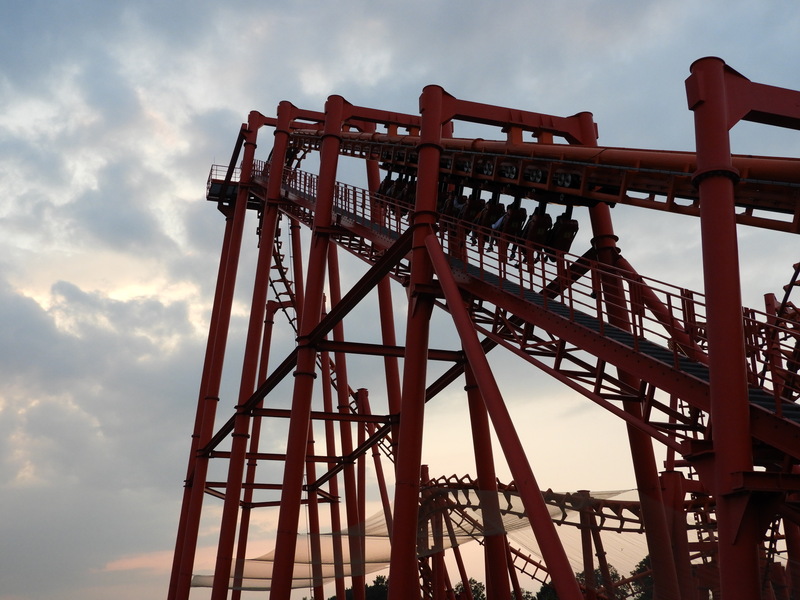 The orange color suits it well, but a back seat ride reminded me why I don’t like this type of coasters. Not as bad as the others, but still not my favorite type of ride. 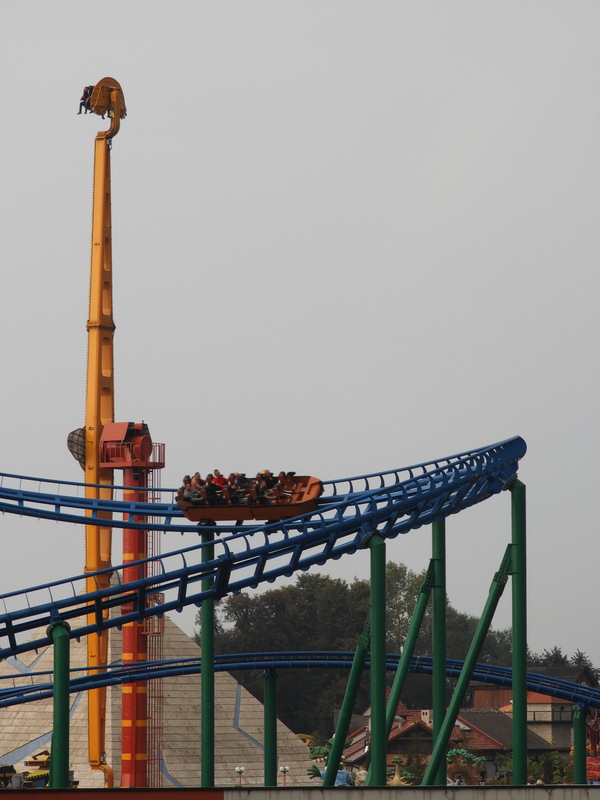 Let’s finish up the Vekoma list with Formula. 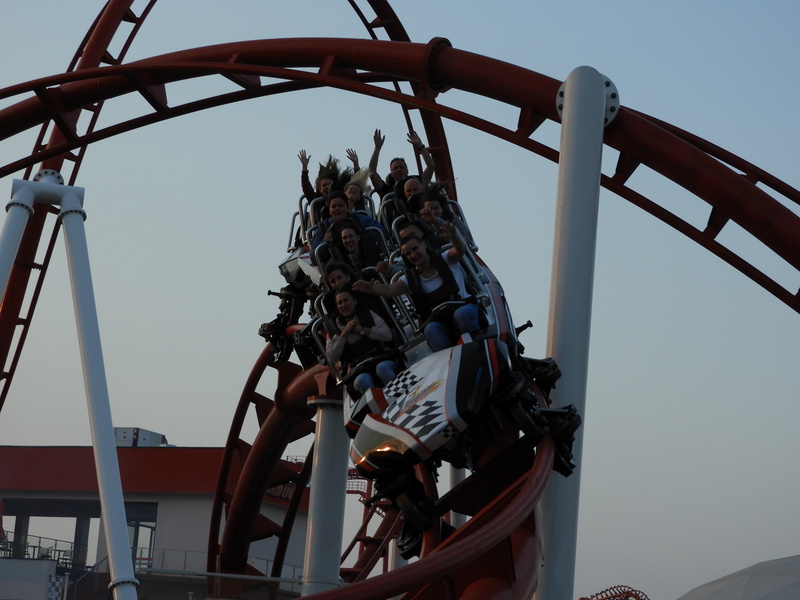 It was the first new generation Vekoma coaster in Europe. Having already ridden Lech Coaster before I rode this one, I was a little baised. Lech is definitely the better one but Formula launches you into a funfilled layout with many inversions on a small scale. The launch isn’t that special too me, plus the tunnel with ugly race guys doesn’t help. 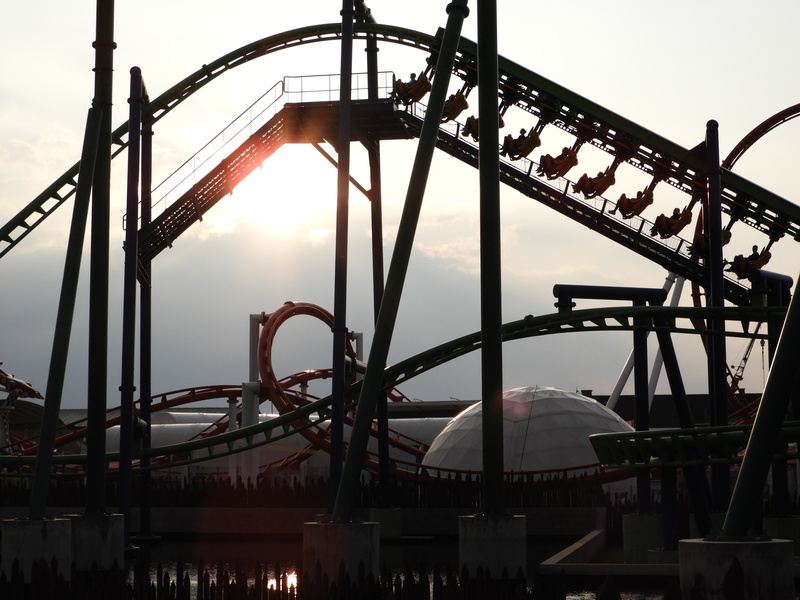 But then, the ride through the inversions and little airtime hills really makes it the second best coaster of the park. 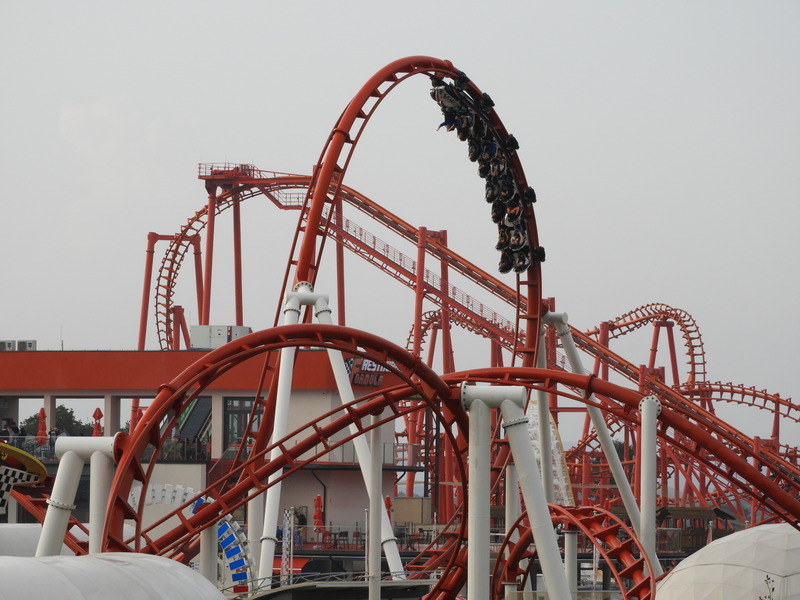 Vekoma already started to prove here that it’s ready for a whole new generation of coasters which fans will love. Only one coaster remains and it’s the other new Intamin coaster for 2018: Speed Coaster. Before entering, you need to put your bags into a locker and you have to pay… More of the American way I guess? I already knew the ride from Mirablilandia as the layout is identical to Divertical. Only Speed is slightly higher and the view is once again interesting on top of the hill. I really like this type of water coasters, more than the Mack Water Coaster for example. The drop can be wet, especially for your shoes so be prepared! Tip is to cover the foot which is on the outer side and to avoid front seat. I’m not a big fan of the Pirate theme but then again, what would be a good theme for this type of coaster that isn’t done yet? 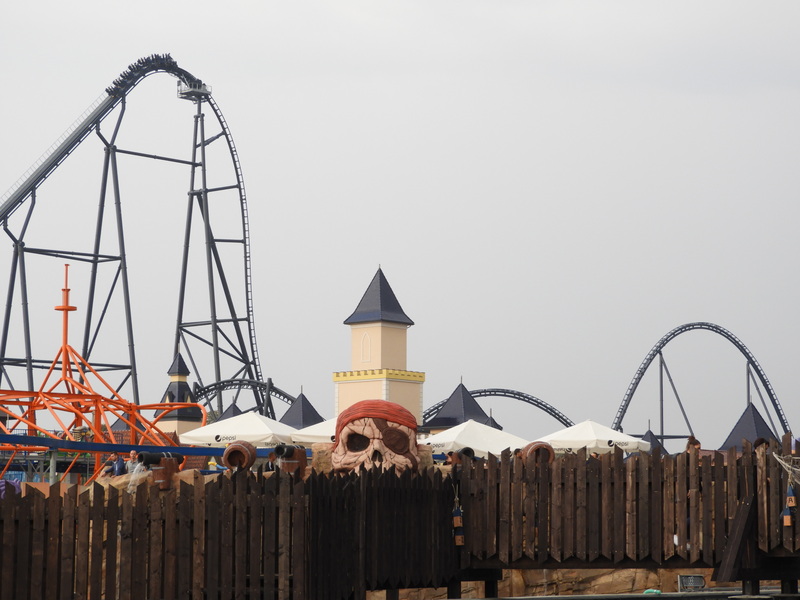 Besides coasters, there are loads of flat rides, including about four thrill rides. Some areas of the park are very ugly while others show the potential of this park. It’s a very flat park so don’t expect much change of elevation. This isn’t helpful for the two rapids who are plain boring. However, this park wants to become one of the biggest in Europe and if it continues to invest in theme and rides like this, why couldn’t it be? 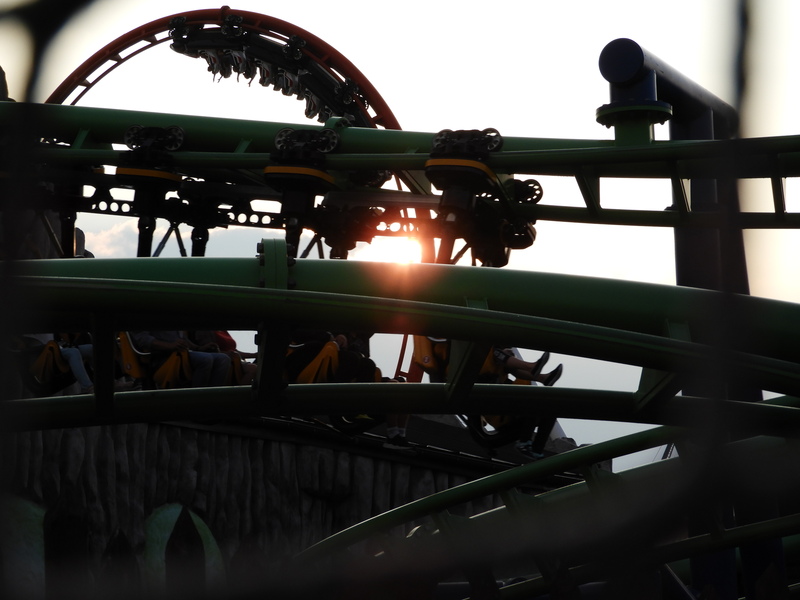 Energylandia should be on your to do list for sure, but it would be hard to imagine it withouth Hyperion. 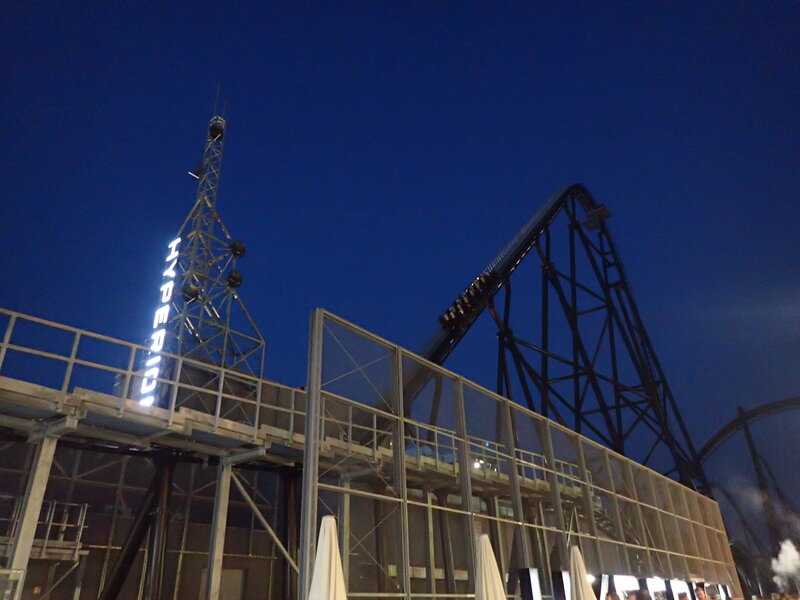 Also worth mentioning is Energylandia Extreme. 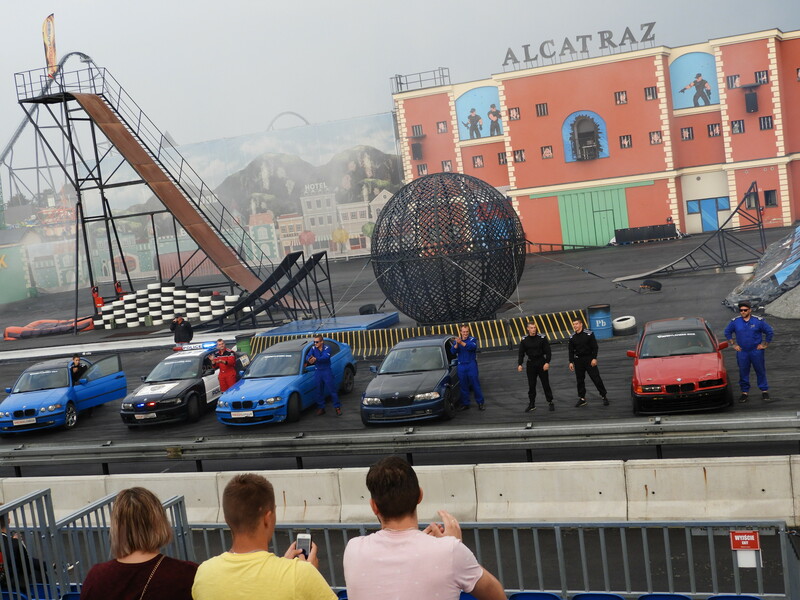 The stunt show doesn’t really have a story line but it’s full of impressive stunts with cars, motorcycles and more. I’ve already seen a few, but this one did stand out a bit because of some of the performances! You’ll also smell throughout almost the whole park if the show is going on. 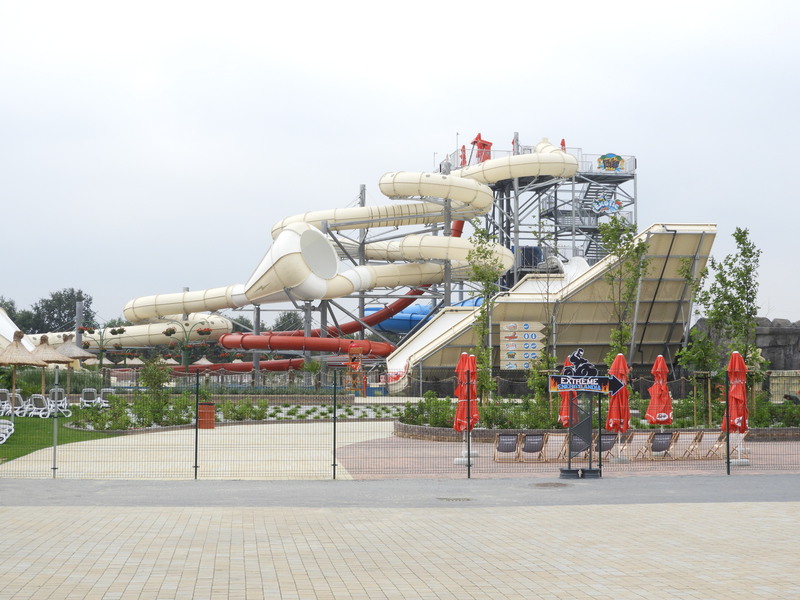 Did we also mention that it has a full waterpark included in your visit? The weather was not too bad, but not good enough for a swim. So we’ll need to visit it next time. 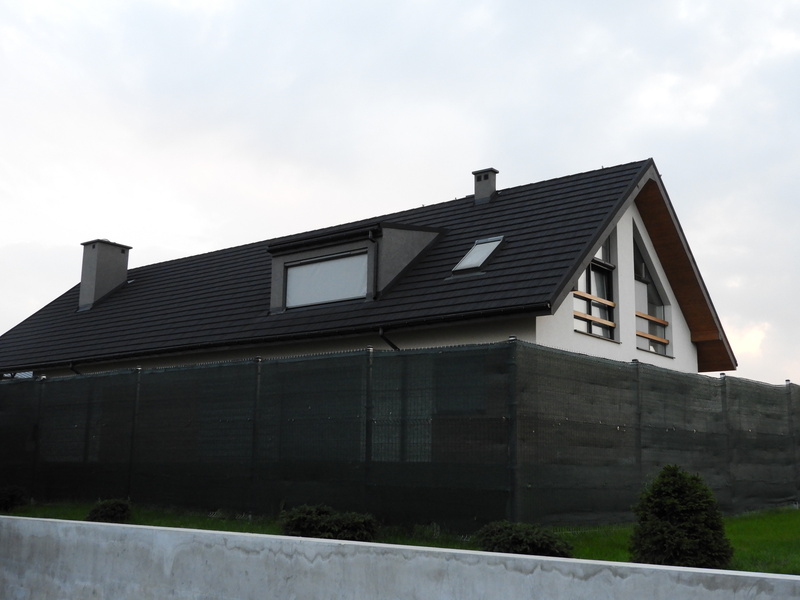 By the way, did I mention that the owner’s house is like right next to the park? 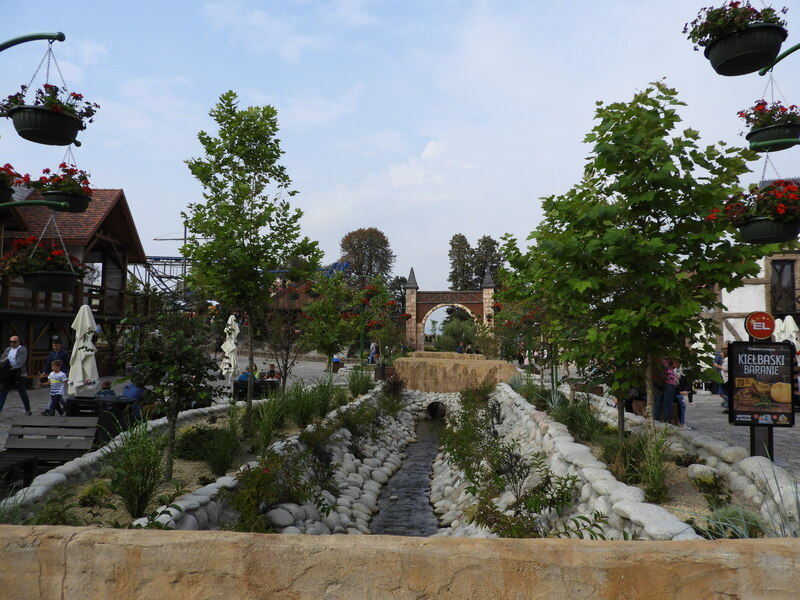 So yeah, he literally built a theme park in his back yard! The park only has one dark ride and it’s one of the worst I’ve ever done… This one will also be removed and replaced in the future luckily. 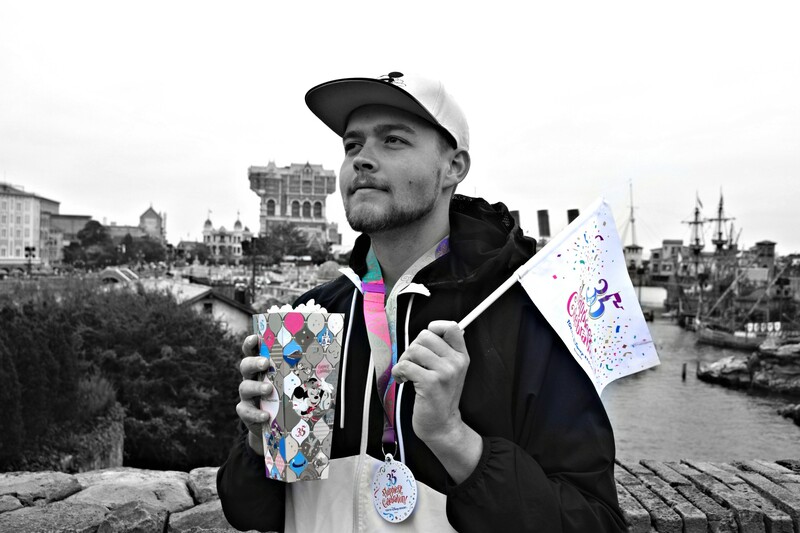 As it was busy in the park, they extended opening hours from 6pm till 8pm30! 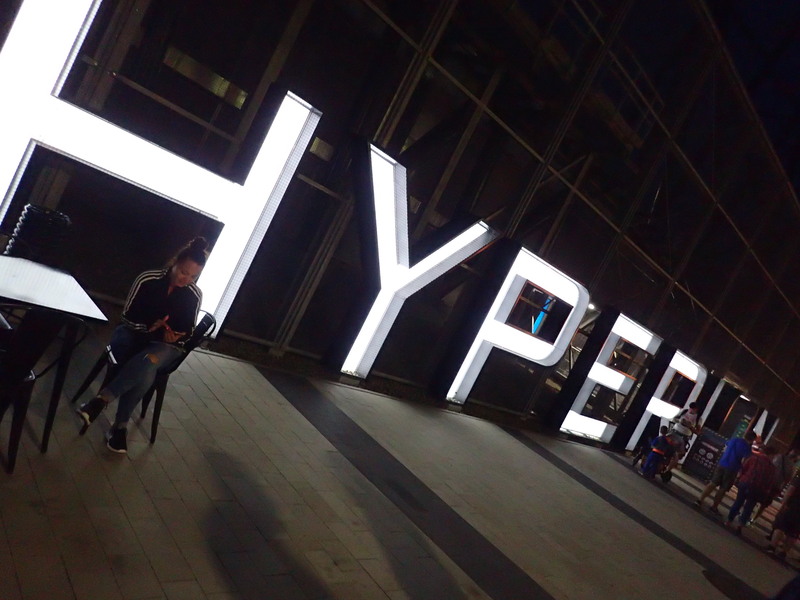 That meant: night rides on Hyperion! At night, I loved it even more. Especially with the views of the fog around the mountains and the nicely light up theme park. With so many more carnival rides, I expected a more cheesy view. Yet, it wasn’t as bad as I thought! 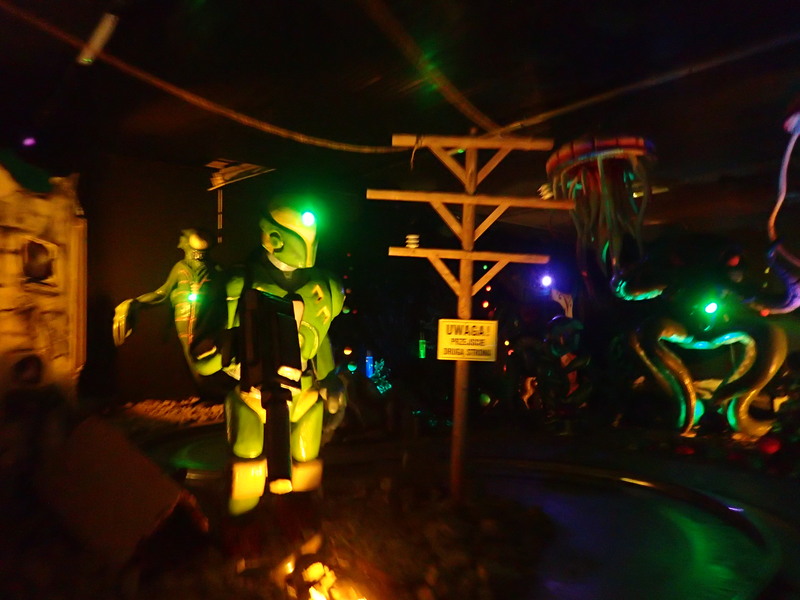 In conclusion, in four years, Energylandia has become a must do in Europe. 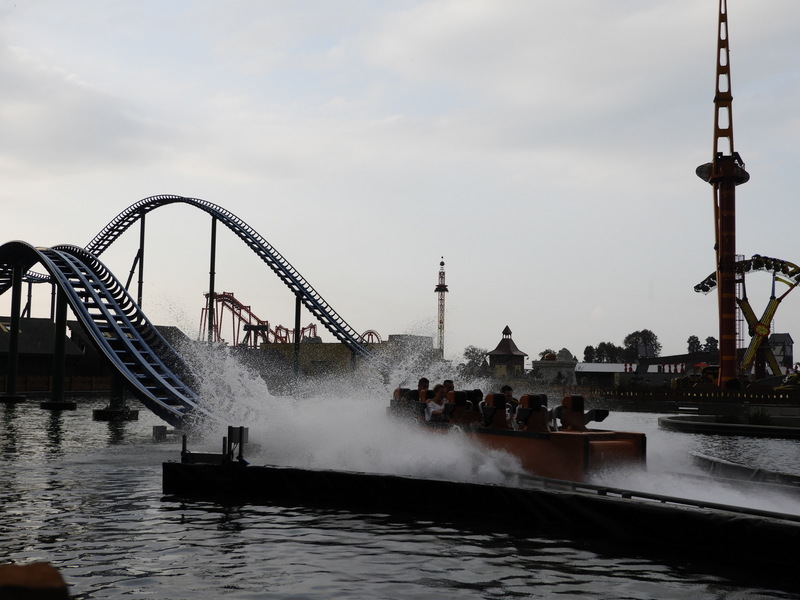 Because of that speed, some areas of the park will need to be redone if it really wants to rank among the big shots in Europe like Europa-Park. Knowing that an RMC, a tilt coaster, a mine train and a multi loop coaster should be on their way for 2020 and beyond, it will probably become the coaster capital of Europe in the near future! 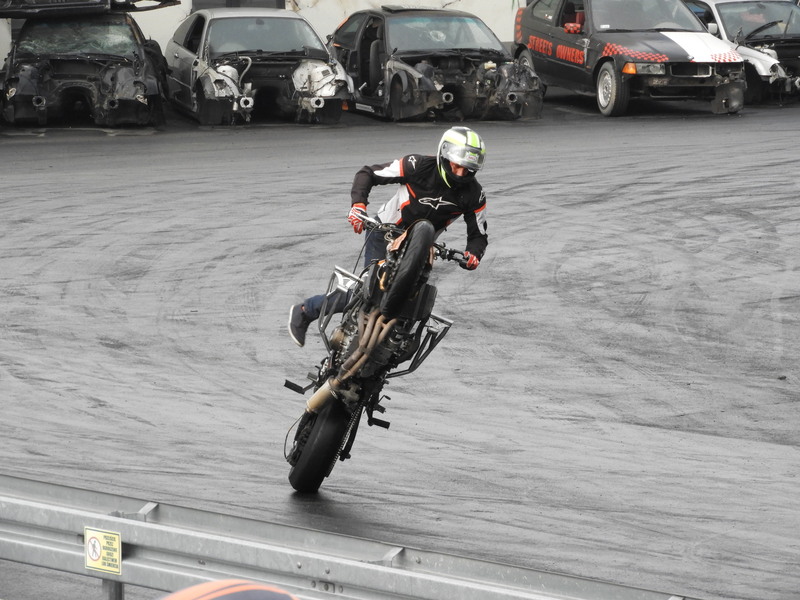 Energylandia, see you soon! 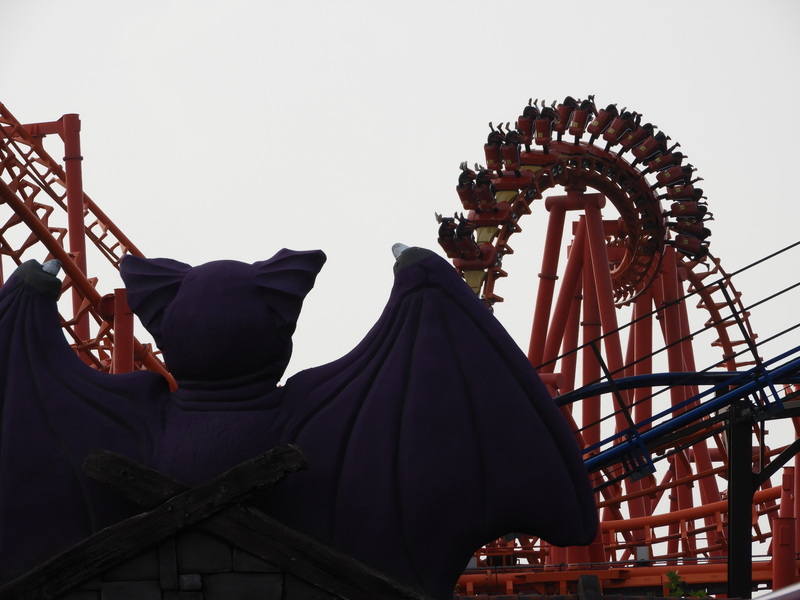 Six Flags Magic Mountain – Fright Fest Media Preview – September 15th 2018! Six Flags Magic Mountain – Fright Fest 2018 Lineup! Next PostNext Halloween Horror Nights 28 Review!